Hope everyone else is ready for a nice, relaxing weekend. I just went on a little vacay with my parents and the kids. It was a bit crazy (see my previous post) so I'm hoping more low key this weekend. I'm going to see Bad Moms tonight to kick it off. Anyways - if you need some entertainment, advice or just a plain old time waster to make it - here is what I've been enjoying this week. 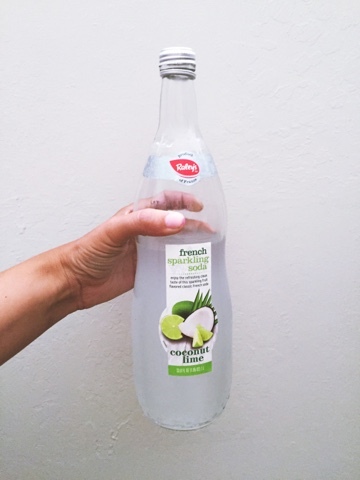 Coconut Lime French Sparkling Soda. If you live near a Raley's or Bel Air - try it. It's like a cocktail without the booze. How to find friends as an adult. Some of the gifs - oh my. C'mon Olympics. Let's stop the sexism. Moms, need some help with self-care? 6 things you should do for yourself. A beautiful Ted Talk about ugly thoughts.